Buoyed by the wave of glowing reviews for Insomniac’s recent PS4 reboot, Sony’s galactic mascots Ratchet & Clank have been all the rage in the video game industry over the past fortnight or so – a momentum director Kevin Munroe is aiming to carry over onto the big screen. In an interview with The Verge, Munroe spoke broadly about video game adaptations in general, Insomniac’s swashbuckling duo, and how the imminent movie stays true to its roots. First up, the filmmaker heaped praise on the creative team steering Ratchet & Clank to cinemas, noting that he adopted a “if it ain’t broke, don’t fix it” approach before dabbling in Insomniac’s beloved universe. 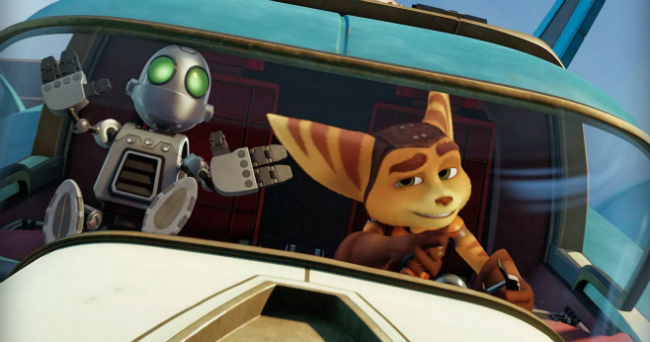 Also starring James Arnold Taylor, David Kaye, Paul Giamatti, Daredevil and Jessica Jones star Rosario Dawson, John Goodman and Sylvester Stallone, Ratchet & Clank makes a beeline for theaters on April 29. Are you excited to see Insomniac’s spacefaring duo light up the big screen?